Home and homecomings are part of holiday lore. Consider Pennsylvania-born Perry Como crooning “Home for the Holidays,” or Norman Rockwell’s painting “Christmas Homecoming,” in which a man holding an overstuffed suitcase in his left hand and gift-wrapped presents under his right arm returns to a hero’s welcome among family and friends. Home may be where the heart is. But the reality is many foster youths will end up homeless if they transition to adulthood without vital human connections. This is not unique to the holidays, of course, but they represent a particularly sentimental time of year. What’s more, winter weather in Pennsylvania poses a serious threat to the health and well-being of the homeless. It’s no coincidence that National Homeless Persons’ Memorial Day takes place on the longest night of the year: Dec. 21. The event is intended to bring attention to the tragedy of homelessness and to remember those who have died while living without a permanent home. But if the homeless in general tend to be overlooked by society, then the foster care community among the homeless is doubly at risk. Foster youths tend to be disproportionately represented among the homeless, he said. As people start to develop patterns within the homeless community, they fray more of their already tenuous family ties. “Foster kids tend to move on when things get tough, mimicking their lives in foster care,” Hines said. Without connections, their personal stories get lost. Of course, this situation is not unique to Pennsylvania. The child welfare agencies of Illinois, Iowa and Wisconsin have collaborated on what is known as the "Midwest Study." It is described as the largest longitudinal study of young people aging out of foster care and transitioning to adulthood since the passage of the John Chafee Foster Care Independence Act in 1999. 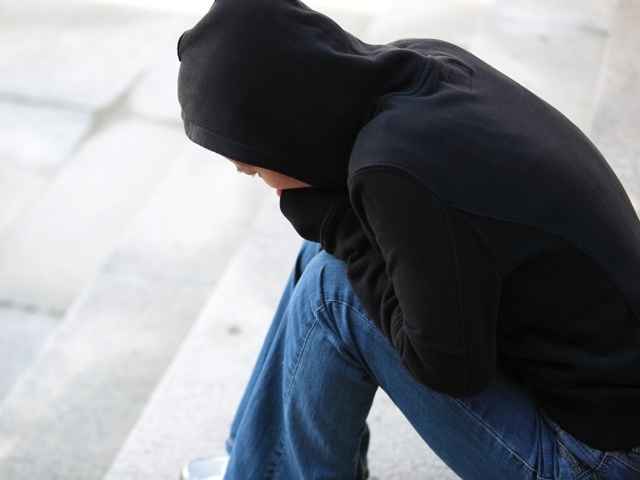 •	Only 1 percent of these young adults were interviewed while they were homeless, but 15 percent reported being homeless for at least one night since their most recent interview. •	One-quarter reported that they had couch surfed. •	Thirty-one percent reported having couch surfed or been homeless, including 7 percent who had experienced episodes of both. Also of concern was the duration of these episodes: some lasting a month or longer. Foster youths are supposed to receive Independent Living Program training and services to help them achieve self-sufficiency prior to and after leaving the foster care system. But knowing how to balance a checkbook or interview for a job might not be enough without a strong emotional-social support system. Today, Michelle Nauman-Brown is Family Design Resources’ youth advocate. She and her husband are raising two beautiful children. But only five years ago, she ended up homeless on two occasions, and at other times couch surfed because she had no permanent residence. She described being homeless while pregnant, spending nights in a city park, or outside on a porch until a friend got home and could let her inside. She had nowhere else to go and no means of transportation. That was the first time. The second time, she had a car but her newborn son was at the rolling stage and wanted to play. She had nowhere to shower. Staying in a car wasn’t feasible with two small children. “I realized that even though I felt like I didn’t deserve to have permanency, I didn’t deserve to have that family,” she says in the video, “everyone deserves to have someone to love them, to care about them, to call and check on them. And a permanent place to call home.